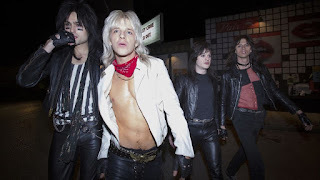 Last night, I caught "The Dirt" on Netflix, and its really just okay. Keep in mind that out of all older school rock bands, I've never really listened to Motley Crue. It's weird I know, I've just never had that music in my arsenal. At any time. I grew up on older rock though. I grew up listening and loving The Beatles, The Turtles and Johnny Cash. Two of my favorite bands of all time are The Doors and Led Zeppelin. I also adore Grateful Dead, The Moody Blues, Queen, The Rolling Stones (another huge favorite of mine) and the like. I have a particular ear for the rock bands of the 70s and 80s. But Motley Crue was just something I never really got into. Maybe that's why I felt a certain detachment while watching this. Although I do love Queen and while I liked "Bohemian Rhapsody" last year, I can't say that I truly loved it. I think seeing "Bohemian Rhapsody" last year helped me collect my feelings on "The Dirt" last night in a quick manner. It feels like every biopic movie about a band or an individual who makes it big in the music business are built from a kit. They all play the exact same. A bunch of ego-driven musicians get together. They form a band. They get famous. Some people believe they won't make it but they do. They get girlfriends and wives that they cheat on. They do drugs. They befriend other musicians. They fight with each other. They fight other people. They learn what really matters. The end. Do you think "The Dirt" is any different? Do you REALLY think "The Dirt" is any different? Its not all bad. Machine Gun Kelly, who you may know from his rap feuds with Eminem, plays Tommy Lee. Holy crap does he do a good job. Seriously, I was very impressed with the work done by the rapper. The other most recognizable face I saw was Iwan Rheon, who is well known for playing Ramsay Bolton on "Game of Thrones." 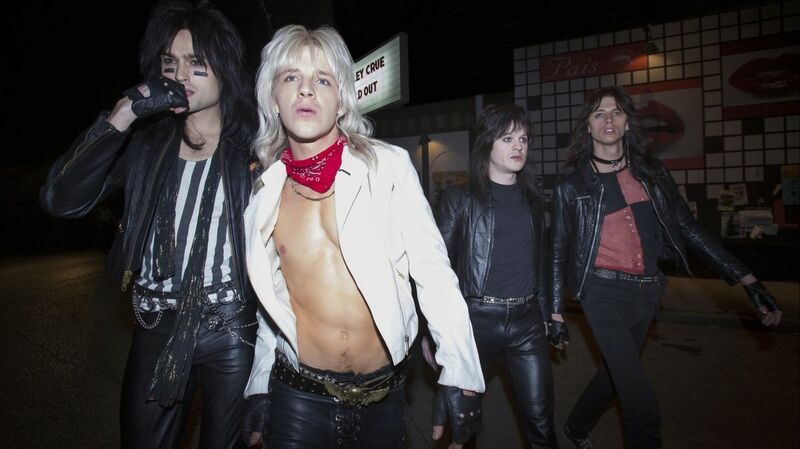 Rheon plays Mick Mars, and Rheon is very good here. A long departure from his usual villainous roles, but he does just as good here playing what seems like the band's conscience. David Webber plays the legendary Vince Neill, and he is incredible on the role. Pete Davidson of SNL plays an executive of Elektra Records who eventually signs Motley Crue, and he does some good work here too. The sets and costumes are well done. It certainly looks like 1973 throughout the entire film, so the sets certainly look pretty throughout the entire film. I wish that they at least tried to separate itself from other band biopics. Either through execution or style or what have you. Is this really all this sub-genre can do? Is this all we can expect from movies like this? Are all bands just about drugs and cheating and getting mad then getting back together? If so, I am going to have a hard time sitting through any more of these. No matter who is up to bat playing the rockers.